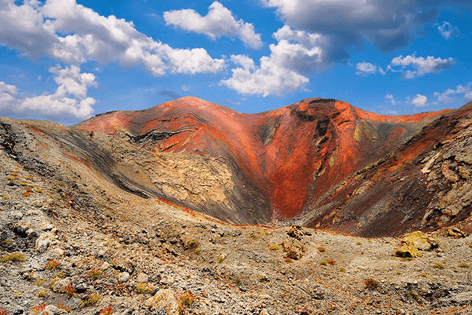 The Short South Tour of Lanzarote takes you through the volcanoes of Timanfaya Park, especially designed for families. Book now online to reserve your place. 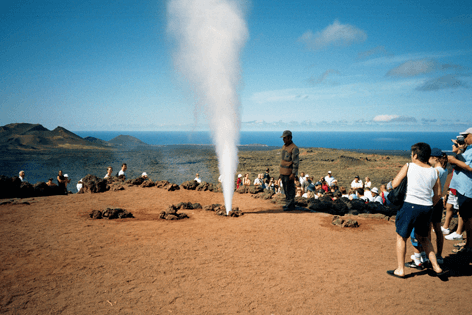 Sit and relax for the Timanfaya Tour on a fully air conditioned coach with an English speaking guide, so that you are more than comfortable to start discovering Lanzarote. 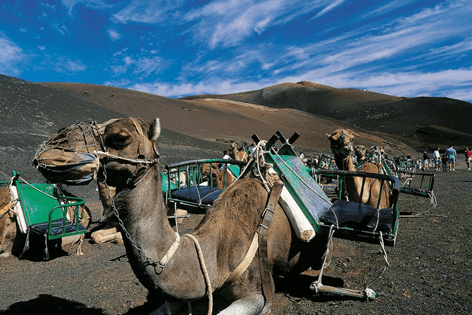 These fascinating creatures are available for you to take a ride up the volcano. One camel takes two people and you will certainly feel like Laurence of Arabia as you take the fun ride through the perfect landscape. The camels work in shifts and teams and are very well looked after. 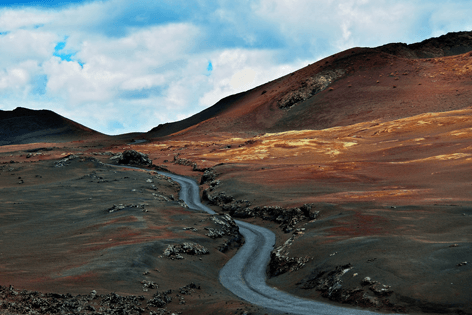 One of the best Short South Tour Lanzarote highlights, where you will see how the wine is made, from how the grapes are grown in the volcanic ash giving the wine a very unique taste. Enjoy your visit to a wine cellar and Bodega where you can sample and purchase the wine to enjoy at home. 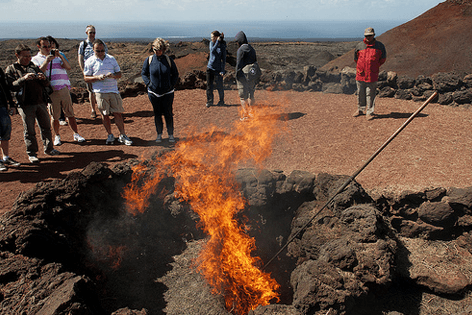 After a scenic oriented Short South tour of Timanfaya Park in Lanzarote, you and your family are going to cherish the memories for ever.